Alyssa Johnson is an expert beekeeper with many years of firsthand experience. Her fascination with bees first began in her teenage years when she was given a hive by her uncle as a birthday present. Ever since then, Alyssa has advanced her skills of beekeeping to tremendous heights. Alyssa always wanted to share her knowledge in beekeeping with other people. That's why she become freelance writer at OlaTCC.com.br. Just check her articles! The art of beekeeping can be very exciting, but if you are a beginning beekeeper, you are most likely going to make some mistakes. Of course, no beekeeper will intentionally want anything to go wrong, but it happens. 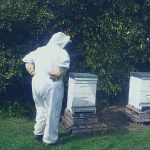 This article to contains ten major mistakes a new beekeeper makes.